When you struggle with chronic hip pain due to wear-and-tear or an underlying medical condition, you could be losing some quality of your life. At Premier Health Chiropractic & Wellness Center in North Dallas, Texas, Dr. H. Khayal, DC, is experienced in diagnosing the root cause of your hip pain. 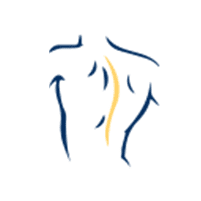 He specializes in custom treatment plans to address your symptoms and provide you with long-term relief of pain. Find out how chiropractic care can reduce hip pain and improve your overall quality of life. Schedule a consultation online or by phone today. While some conditions cause mild aches and pains in the hip area, others can leave you in chronic pain. Pain and mobility issues can make it difficult to walk or stay active, eventually worsening into a disability. Dr. H. Khayal can determine the origin of your hip pain through a physical examination. He will ask you to perform certain movements to assess your range of motion and the actions that cause you the most pain. Once he pinpoints the cause of your pain, Dr. H. Khayal creates a chiropractic treatment plan to alleviate pain and increase your mobility. In many cases, regular chiropractic care can eliminate the need for invasive treatments like surgery and provide you with long-lasting pain relief. How does chiropractic care treat hip pain? Dr. H. Khayal uses manual adjustments and innovative technologies to treat the root cause of your hip pain. By realigning the bones of the body, he can restore balance to your hip and alleviate chronic pain. You can also receive in-office treatments with cold laser therapy or ultrasound therapy to speed up your recovery process and help your body heal naturally. Both treatments help improve blood circulation and trigger cell regeneration at the injury site. If you depend on pain medications to stay active, chiropractic techniques can reduce that dependence and promote total health and wellness. When should I seek treatment for hip pain? When at-home treatments aren’t relieving your hip pain, schedule a chiropractic consultation. You should also seek treatment when your hip pain is chronic and you’re unable to put weight on the area. Dr. H. Khayal can recommend exercises to improve the strength of the muscles that support your hip. Through regular chiropractic treatments, he can ensure your hip and spine are in proper alignment. Learn more about the benefits of chiropractic care for hip pain by calling the office or by using the online booking feature.